As a notable name of this business sector, we are massively indulged in offering to our patrons’ Mdf Design Service. 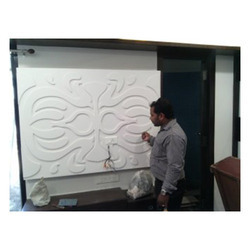 Due to our devotion and specialization towards the quality, these services are enormously valued by our clients. Apart from this, these services are executed by nimble personnel as per the patrons’ demands. This program is extremely beneficial to the aspiring student who wants to make the career in the field of Graphic designer and Web designer as well. The course includes major content of graphic design with some combination of web designing process as well. The course covers graphics, illustrations, composition & layout for print design, graphics & animation.